WISEArchive began in 2005. We are an oral history group run entirely by enthusiastic volunteers who record, transcribe and edit working-life stories. An online archive was established from the start and our first book of collected stories Working in the Health Services 1946-2003, was published in 2014. Our latest book is Colman’s of Norwich: Stories of Former Employees 1935-1995, which is the result of our Heritage Lottery funded project concluded in summer 2016. The Archive is continually expanding with new stories added on a regular basis. New projects, some of which have received Lottery funding, are added to the Projects section on completion. Sound clips have been included with our latest stories and many more will be added in the future. They demonstrate the energy and enthusiasm with which working-life stories are told and afford opportunities to enjoy the rich Norfolk accent. New contributions are always welcome from those who wish to preserve the story of their working life. Contact WISEArchive to find out more or choose Tell your story if you wish to submit a written account. Send relevant photographs with the story if you wish to have them included. WISEArchive has well established links with the Sound Archive of the Norfolk Record Office which maintains copies of all WISEArchive sound recordings and transcriptions. 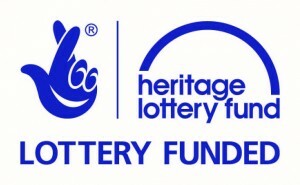 It continues to develop cooperation with other groups interested in heritage, including the Broads Authority, Norfolk Museum Service and the Forum Trust.